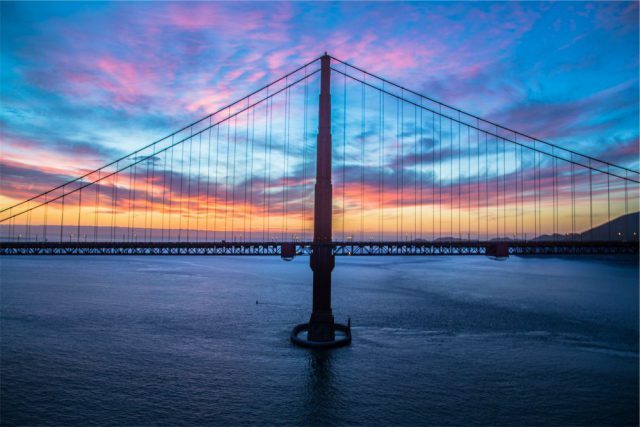 When you’re building your experience and knowledge of photography, the go-to question is: “What is the best camera for photography?” Everyone’s answer is along the lines of it depends on what you are doing, or what kind of photography you are interested in. 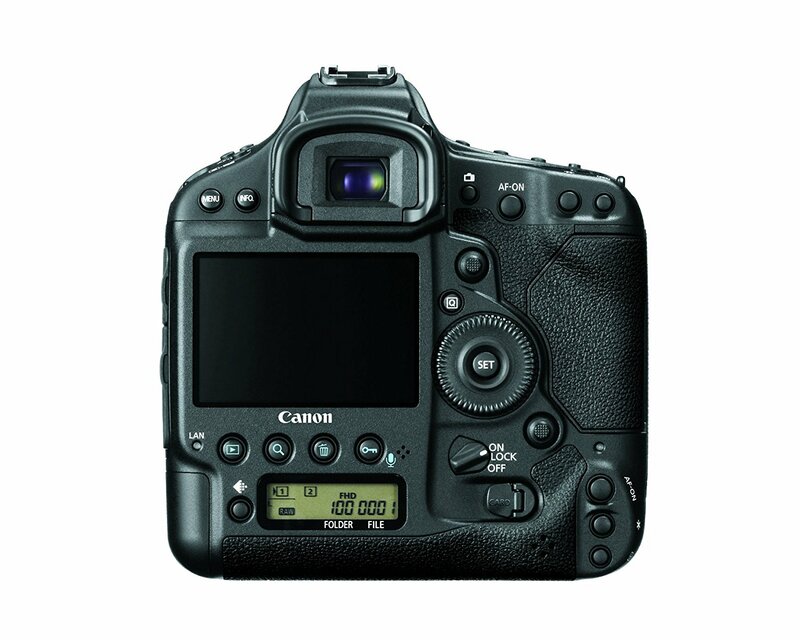 We’ve broken down Canon DSLRs to help answer this question! Below you will find the product specifications and learn what to expect from each one. 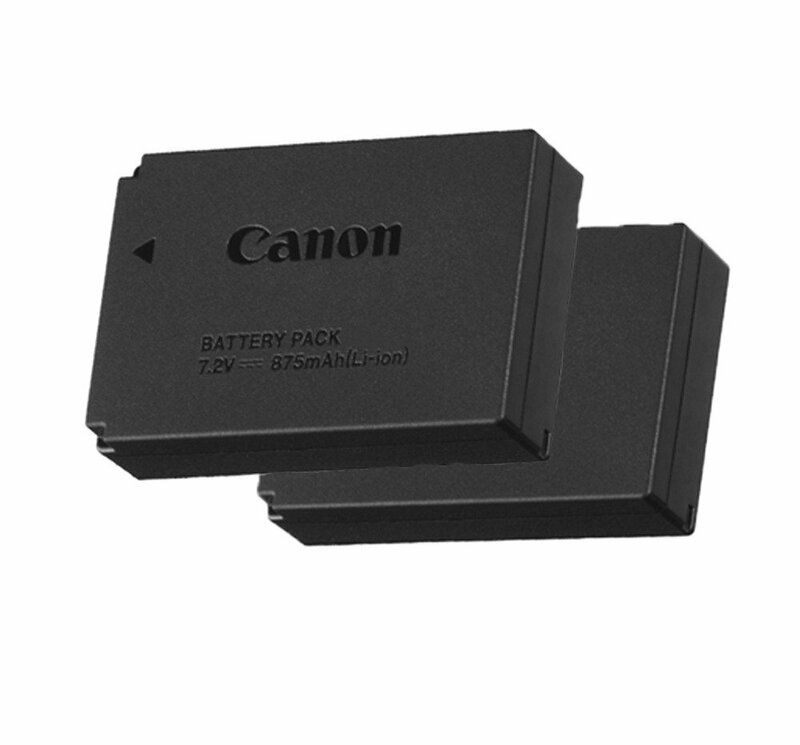 Canon is a well known and well-trusted brand. 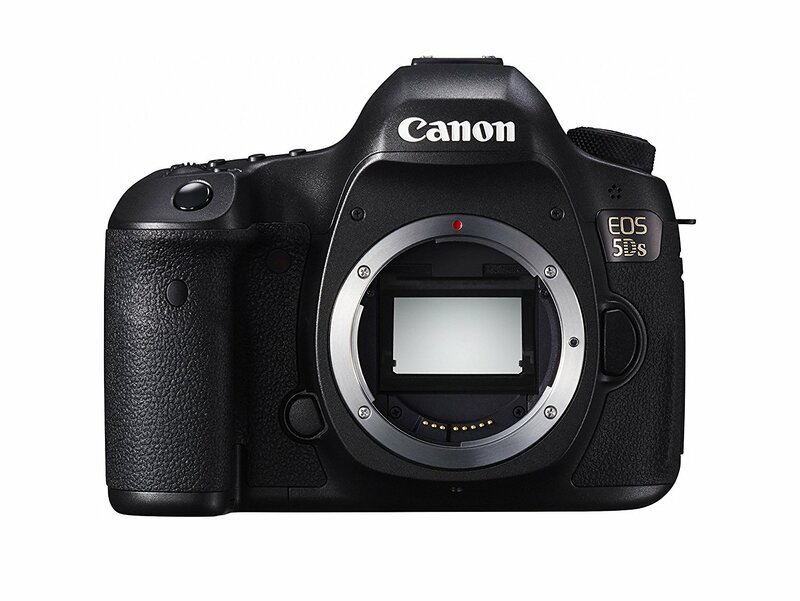 Their EOS 5D Mark IV is only one rendition of the long line of EOS 5D’s. The Mark IV has been altered and updated from the previous models to fit nicely with novice’s and still be a favorite of experts. 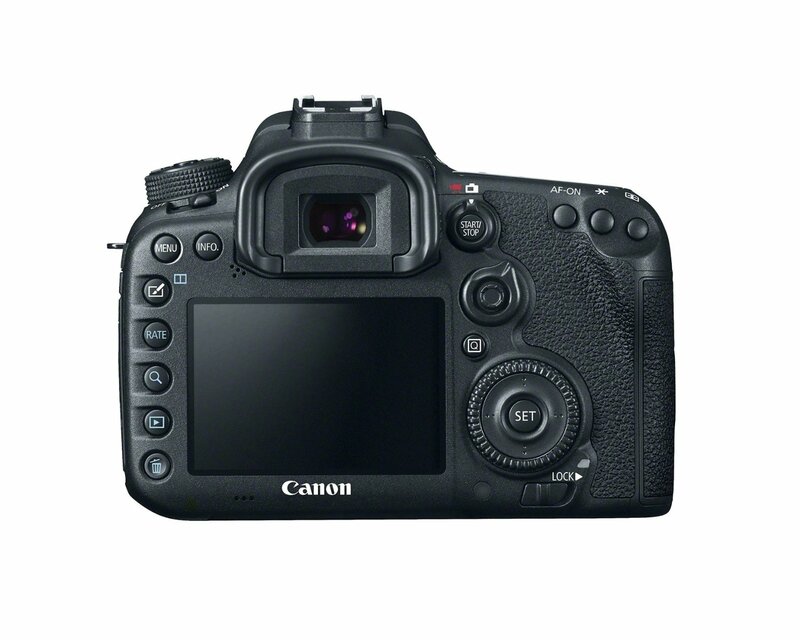 It offers a full-frame CMOS sensor that delivers pinpoint photos. Sharp photo quality is the final product of the Mark IV. 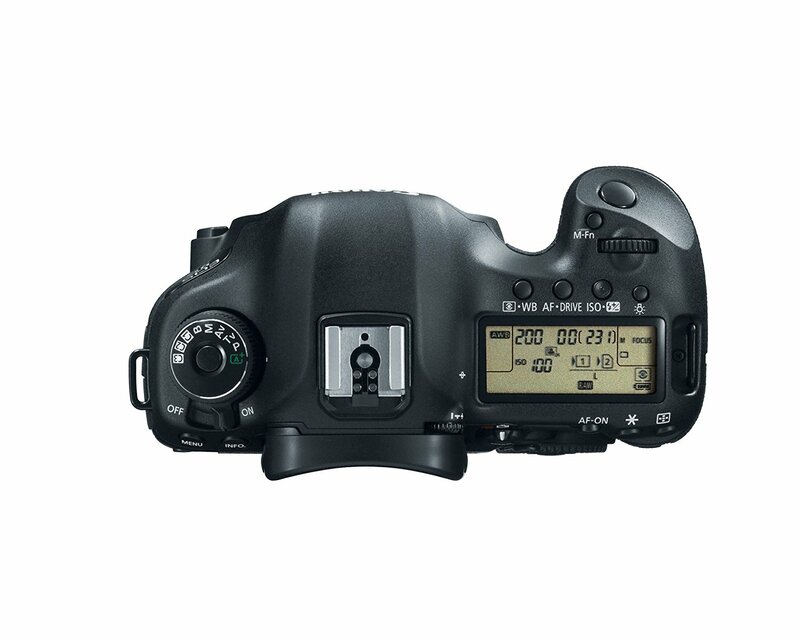 While its price tag is upwards of two thousand, it is an investment for any photographer. Autofocus, 3.2-inch touchscreen and a maximum shooting speed of 7 frames per second. This is made for expert photographers! 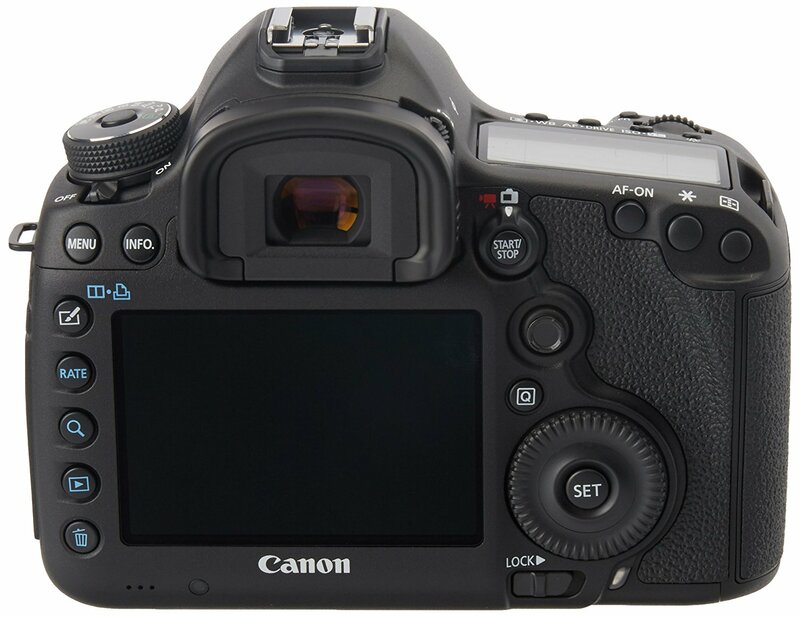 Canon EOS 5D Mark IV at the glance. 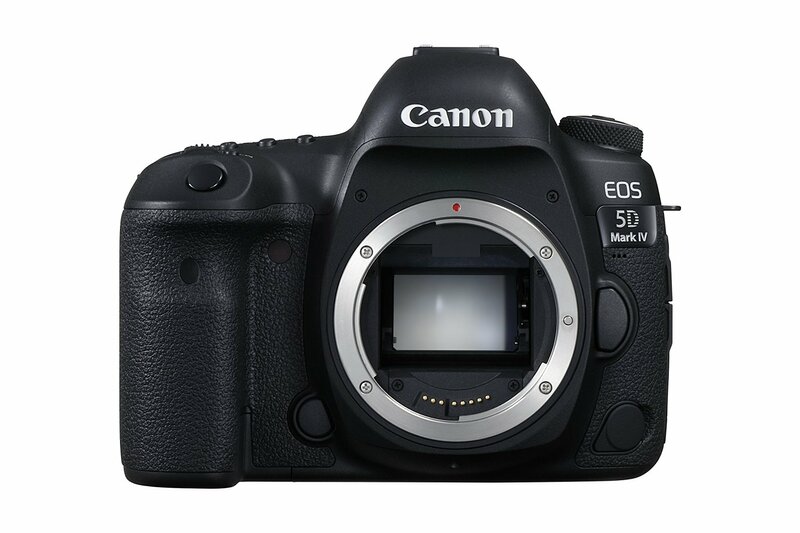 *The EOS 5D Mark IV camera builds on the powerful legacy of the 5D series, offering amazing refinements in image quality, performance, and versatility. 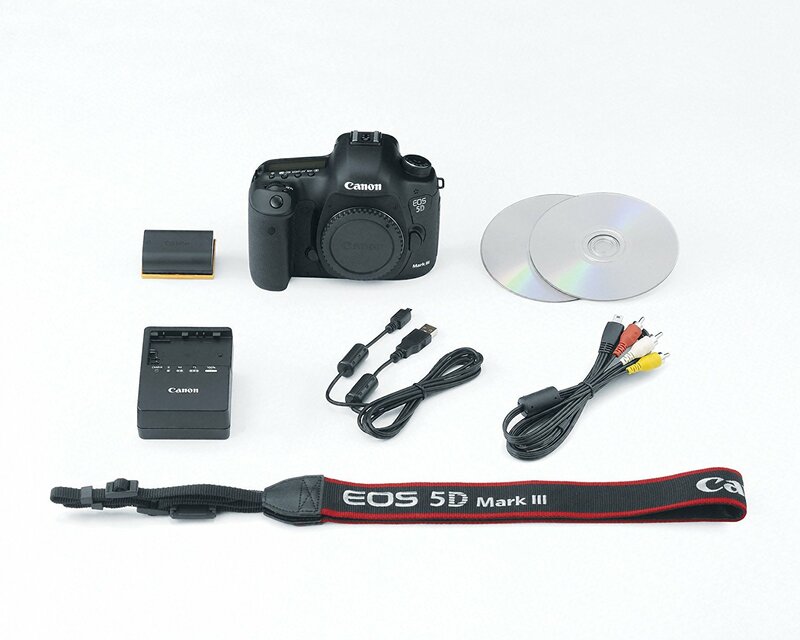 *Wedding and portrait photographers, nature and landscape shooters, as well as creative videographers will appreciate the brilliance and power that the EOS 5D Mark IV delivers. 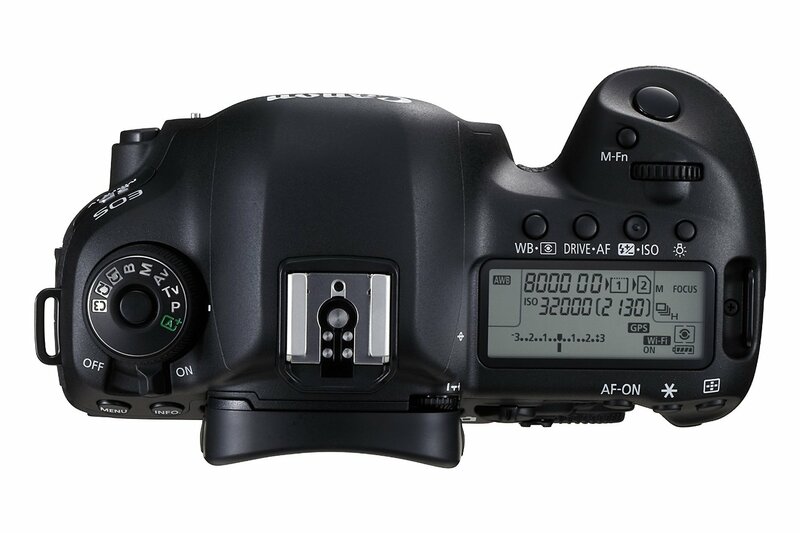 The only thing that outranks the Nikon D810 (a camera loved by professionals) in resolution is the Canon EOS 5DS. With 50.6MP resolution is no longer a concern. 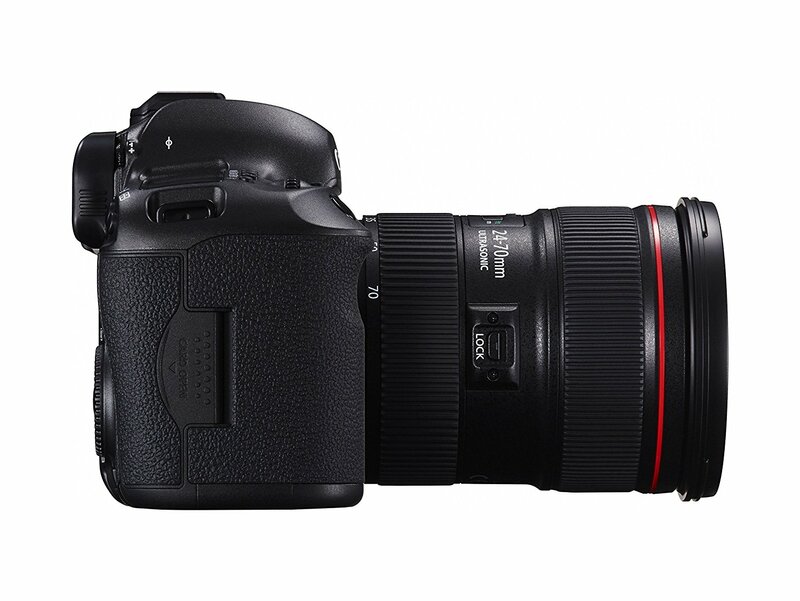 Delivering excellent image quality, limits noise, and gives a great dynamic range. Also on the expensive side, in the same ballpark as the Mark IV, this is also intended as an investment for experts and professionals. The only downside is that with a resolution like this, raw data files are very large. Additionally, it goes without saying, this camera asks for nothing but the best in lenses. Another investment. 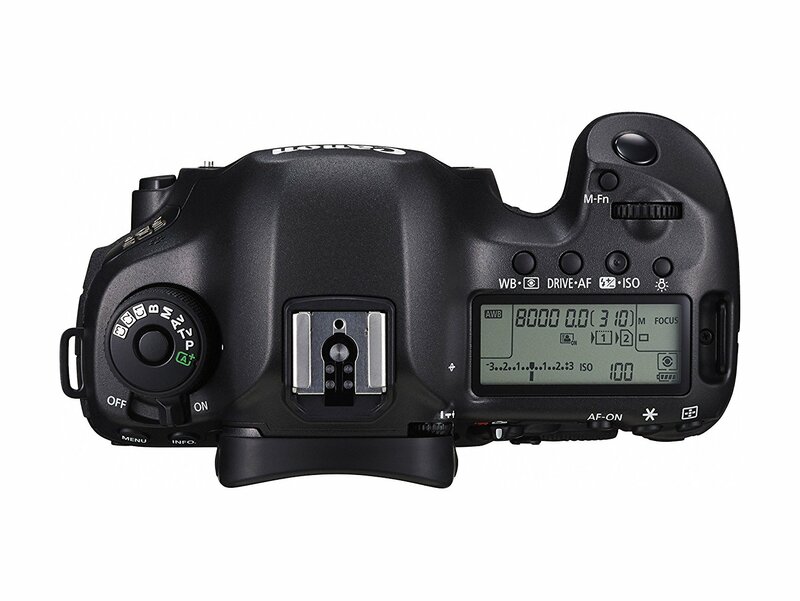 Canon EOS 5DS at the glance. 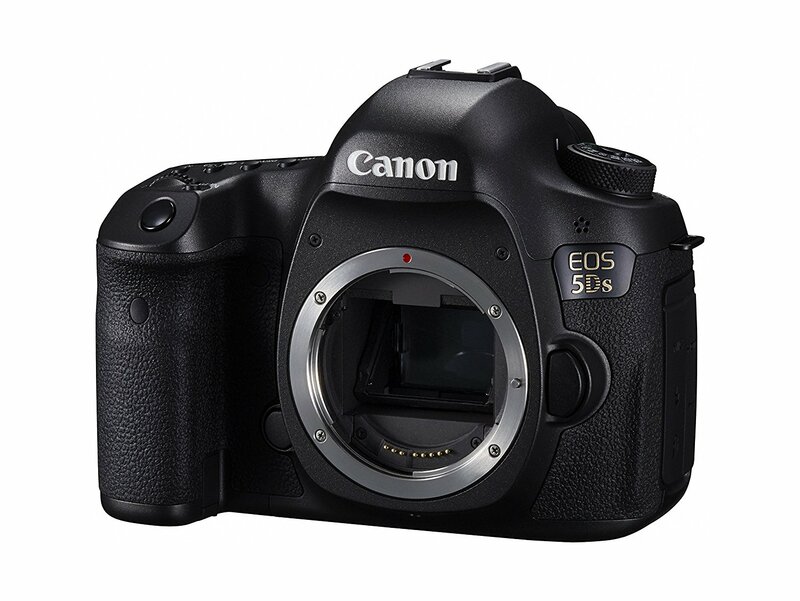 *Marking a new standard in high-resolution digital SLR photography, the Canon EOS 5DS camera shatters the status quo with a new 50.6 Megapixel, full-frame CMOS sensor. Perfect for commercial and fine art photography, or any other application that calls for extremely high-resolution, the EOS 5DS is the ultimate combination of EOS performance and ultra-high megapixel capture. *It features an advanced, 61-point High-Density Reticular AF system that includes 41 cross-type AF points and EOS iTR AF for precise AF in numerous situations. *A refined mirror control mechanism reduces vibration and a Time Release Lag setting minimizes camera shake for sharp image capture when using mirror lock-up. *New features like a crop function of 1.3x and 1.6x and a Custom Quick Control screen are complemented by advanced, multi-featured Full HD Movie capture, with Time Lapse Movie, and much more. 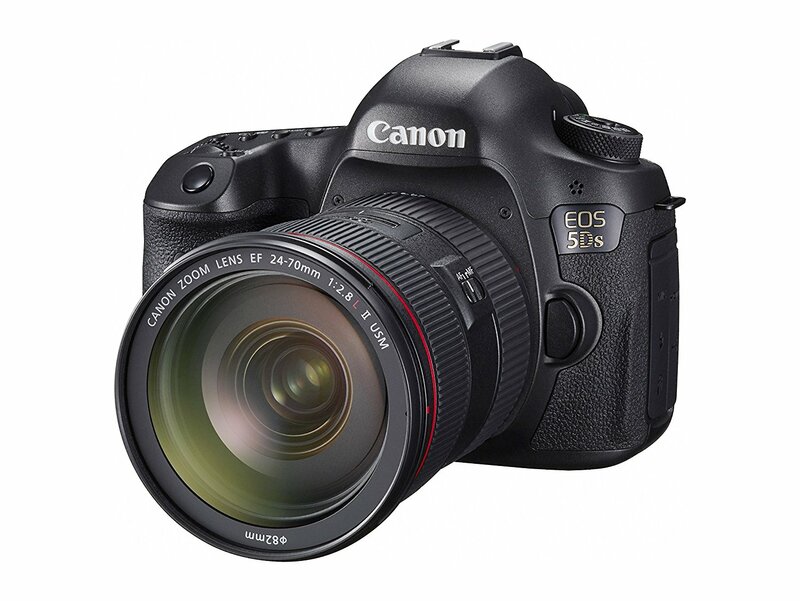 With EOS performance and 50.6 Megapixel Capture, the EOS 5DS revolutionizes high-resolution photography! Far more reasonable in price and still made for experts! 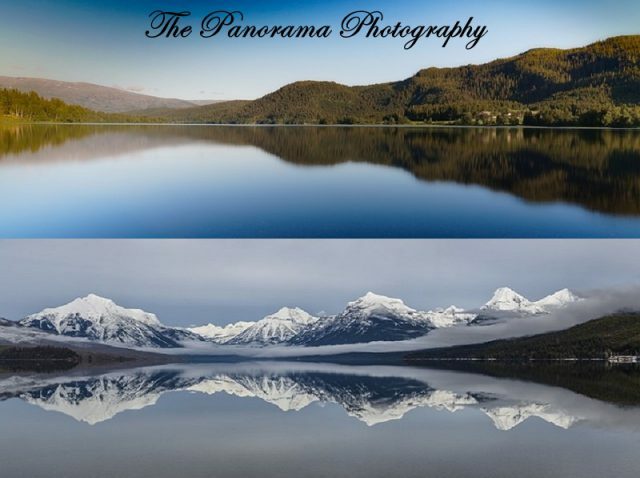 It is the perfect compromise for lovers of photography who don’t use their camera’s to make a living. 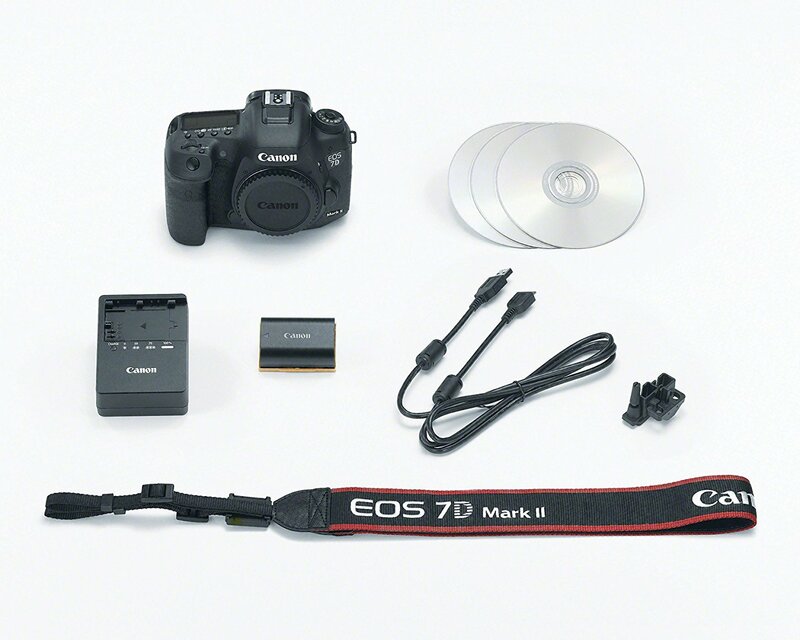 The EOS 7D Mark II is meant to take a beating with a very sturdy build. With 10 frames per second as its max shooting speed, you’re not going to miss a thing! The video quality captures in 1080p. The downside is that a very small step down in quality is a very big drop in price. The price of the Mark II is far more reasonable, but in comparison, a step up in price is a lot more quality in resolution and a step down in price is not a very big difference. 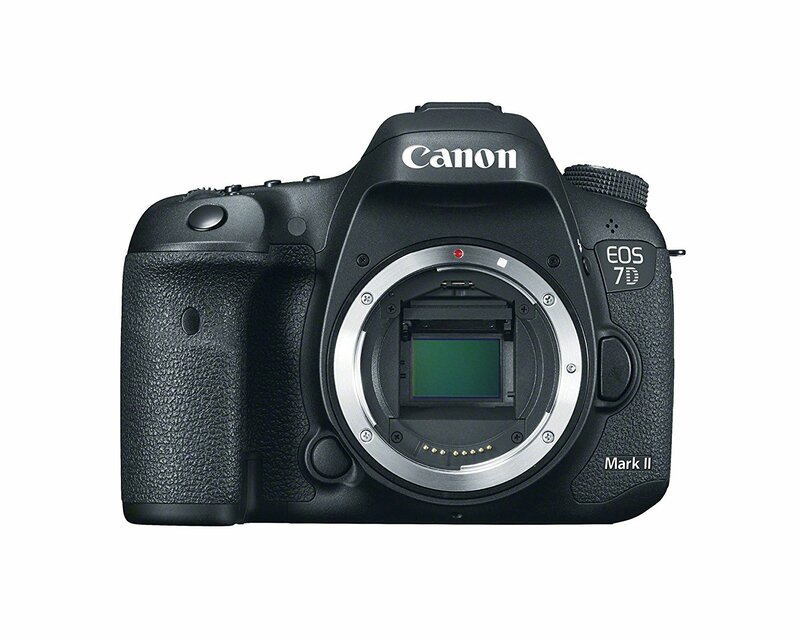 Canon Eos 7D Mark II at the glance. 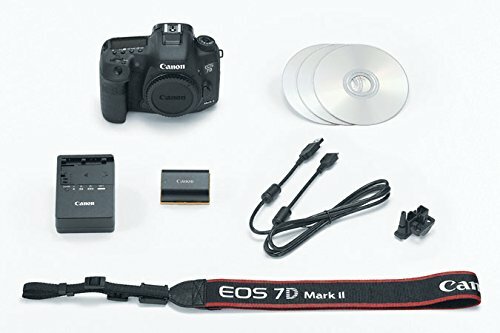 *The Canon EOS 7D Mark II digital SLR camera is designed to meet the demands of photographers and videographers who want a camera that can provide a wide range of artistic opportunities. *The EOS 7D Mark II features a refined APS-C sized 20.2 Megapixel CMOS sensor with Dual DIGIC 6 Image Processors for gorgeous imagery. It shoots up to 10 frames per second at ISOs ranging from 100–16000 (expandable to H1: 25600, H2: 51200), has a 65-point* all cross-type AF system and features Canon’s amazing Dual Pixel CMOS AF for brilliant Live-View AF. 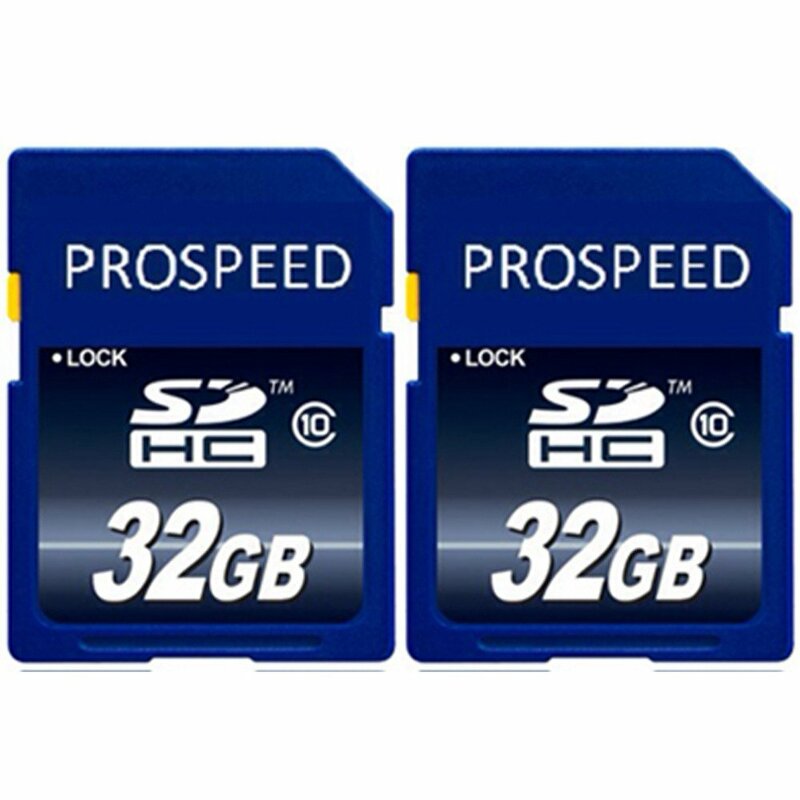 *It has dual card slots for both CF and SD cards, USB 3.0 connectivity and even has built-in GPS** for easy location tagging, automatically. Compatible with an ever-expanding collection of EF and EF-S lenses plus a host of EOS accessories, the EOS 7D Mark II is an ideal tool for creative and ambitious photography. 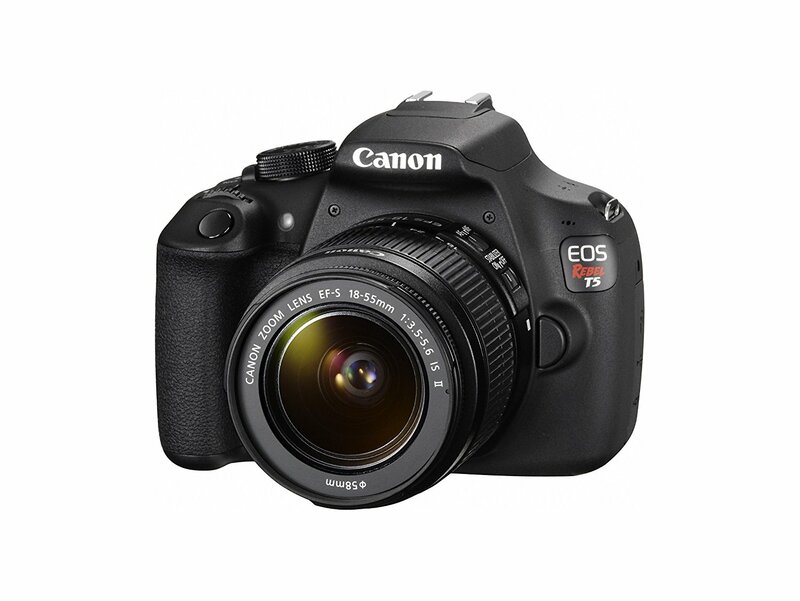 For the beginners, because we haven’t forgotten about them, is the Rebel T6i. A continuous shooting speed of 5 frames per second and a 19-point autofocus leave this among the best for those just starting out. Video still captures in 1080p and the features are very easy to learn and use. 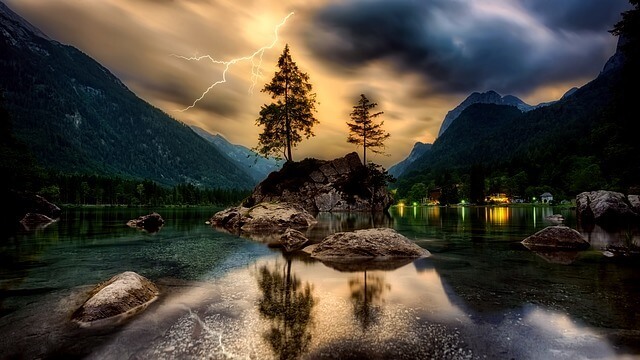 It keeps the noise level low and produces great image quality. The improved exposure and autofocus are great to introduce newbies to photography. While it isn’t the best camera for photography, it is definitely among the best for those learning photography. 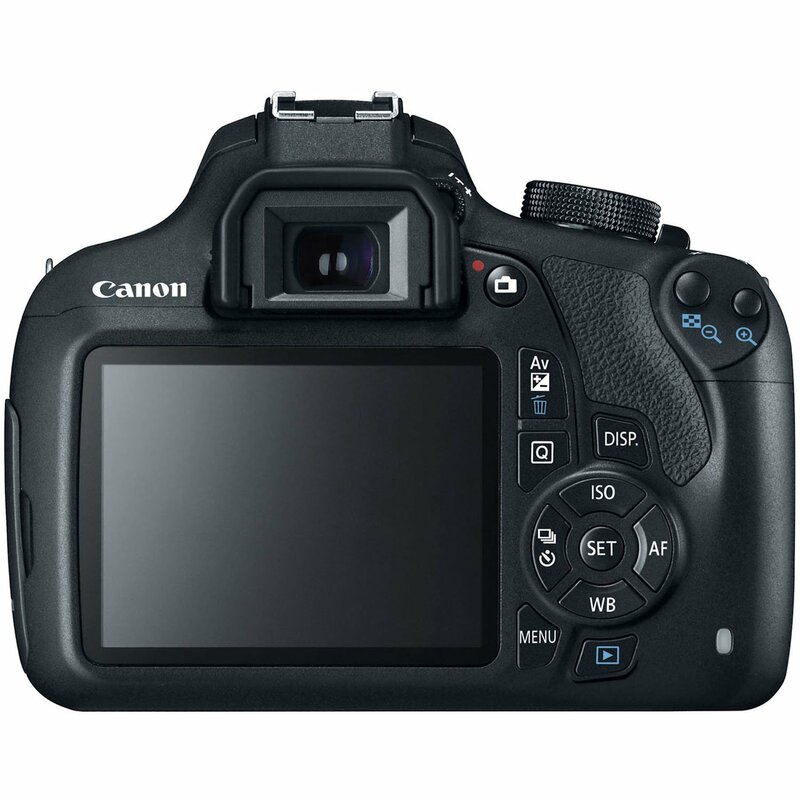 Canon EOS Rebel T6i at the glance. 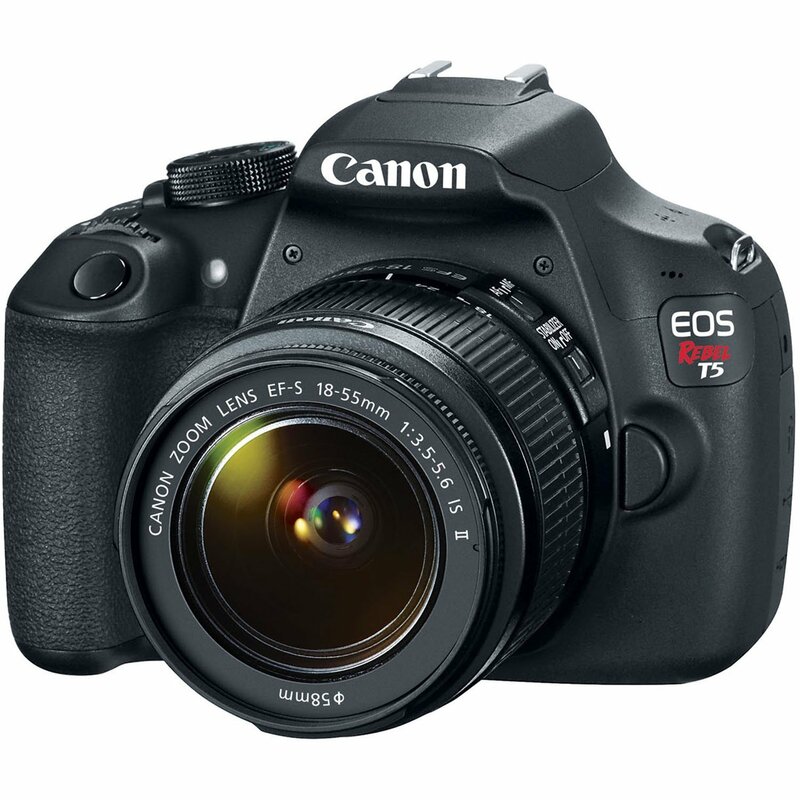 *Packing a high-resolution 24.2-megapixel CMOS sensor and the DIGIC 6 Image Processor into a compact body is the EOS Rebel T6i DSLR Camera with 18-55mm Lens from Canon, which includes a versatile standard zoom lens useful for stills and video. This system enables shooting in a wide variety of conditions, from bright sunlight to dim indoor scenarios due to ISO performance of up to 12,800, which can be expanded to 25,600. 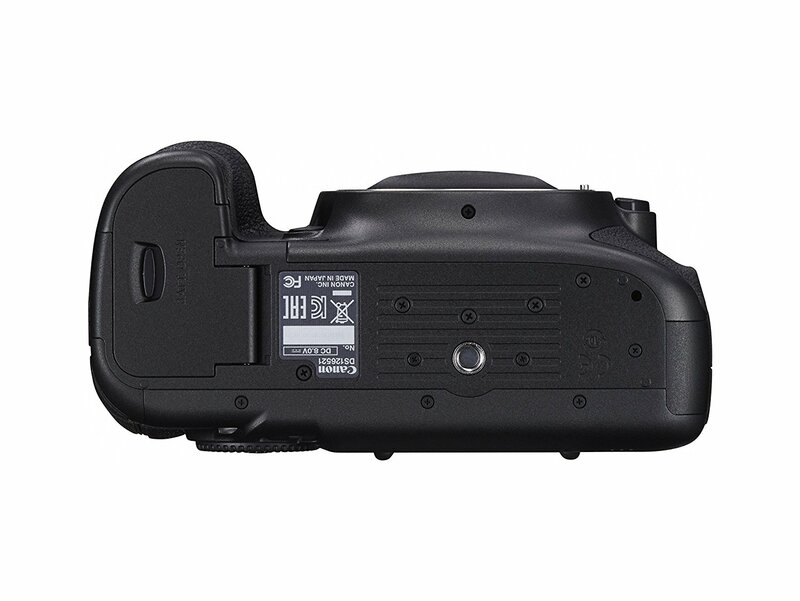 The APS-C camera also has built-in Wi-Fi connectivity with NFC that allows for wireless transfer of images and video to social networks and cloud storage via the Camera Connect mobile app. Also, NFC enables fast connection to mobile devices as well as the CS100 Connect Station. 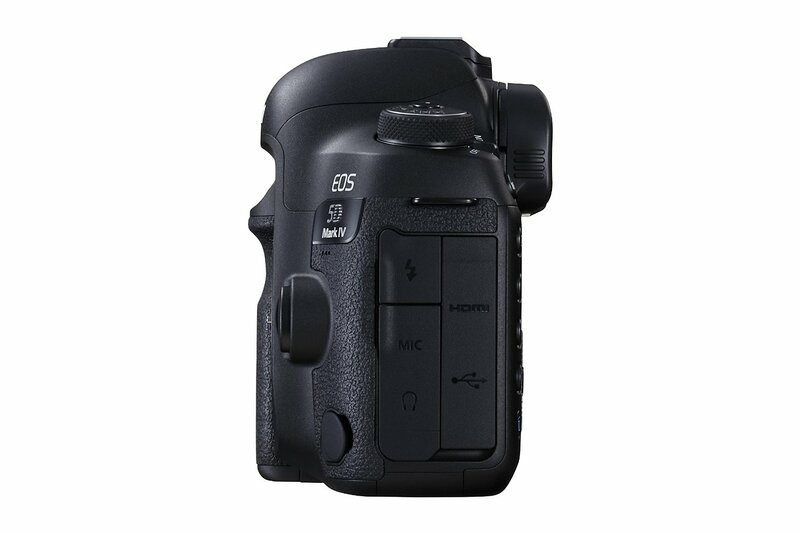 *Full HD video in MP4 format is possible with the T6i in addition to stills and it has Hybrid CMOS AF III for fast, accurate autofocus during movie shooting and during Live View. A vari-angle 3.0″ 1.04M-dot ClearView II touchscreen LCD monitor on the rear of the camera allows for versatile positioning of the camera and clear viewing, even outdoors. Additionally, the EOS scene analysis system can detect near-infrared light and flickering light sources to provide the best information for metering the scene. *High-speed continuous shooting at up to 5 fps ensures you will not miss a shot during fast action and this is benefited by the use of a 19-point all cross-type autofocus system. Creative filters are also available for preset looks for your photos and videos. Made for smaller hands and beginner understanding the Rebel SL1 is made for comfort. Its sleek design is nice to look at and durable. The design outweighs the features though when it comes down to it. The Rebel SL1 is low on features. This can be a big plus for those who are just learning and want to take things one step at a time. It also decreases the dependency on these features from starting out with a great camera that’s loaded with features. 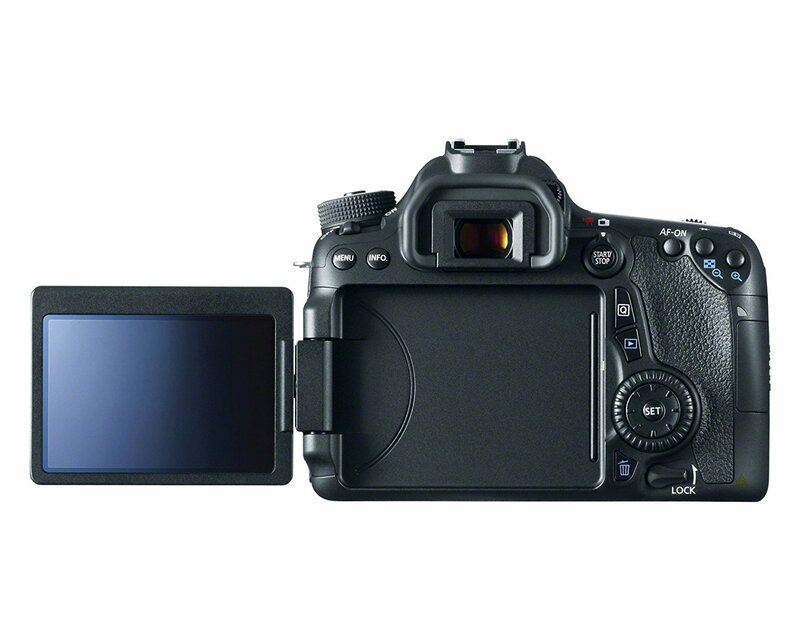 This is an entry-level DSLR. It produces good image quality and is worth its price. 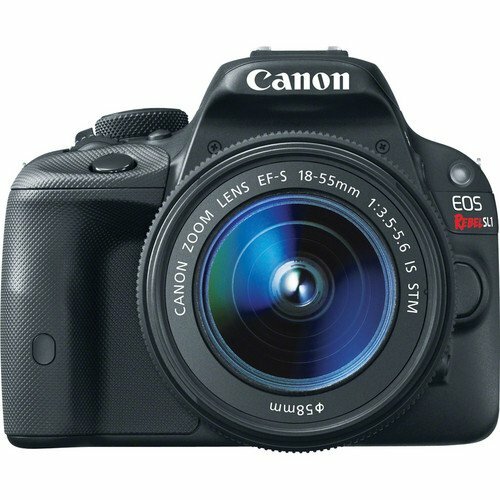 EOS Rebel SL1 at the glance. 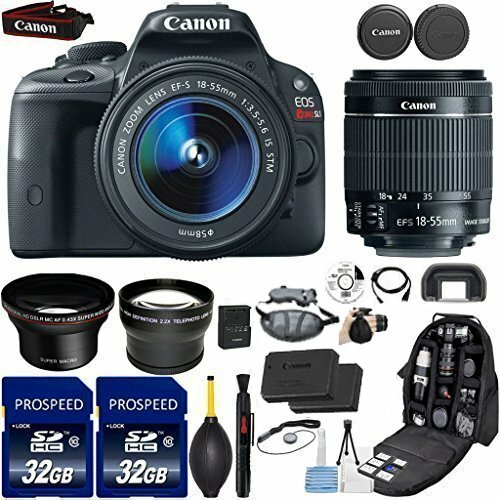 *Combining a pair of zooms with a versatile DSLR, the EOS Rebel SL1 DSLR Camera with 18-55mm and 75-300mm Lenses Bundle from Canon includes the sleek camera, two lenses covering wide-angle to telephoto perspectives, and a padded gadget bag for holding all of the kit components. 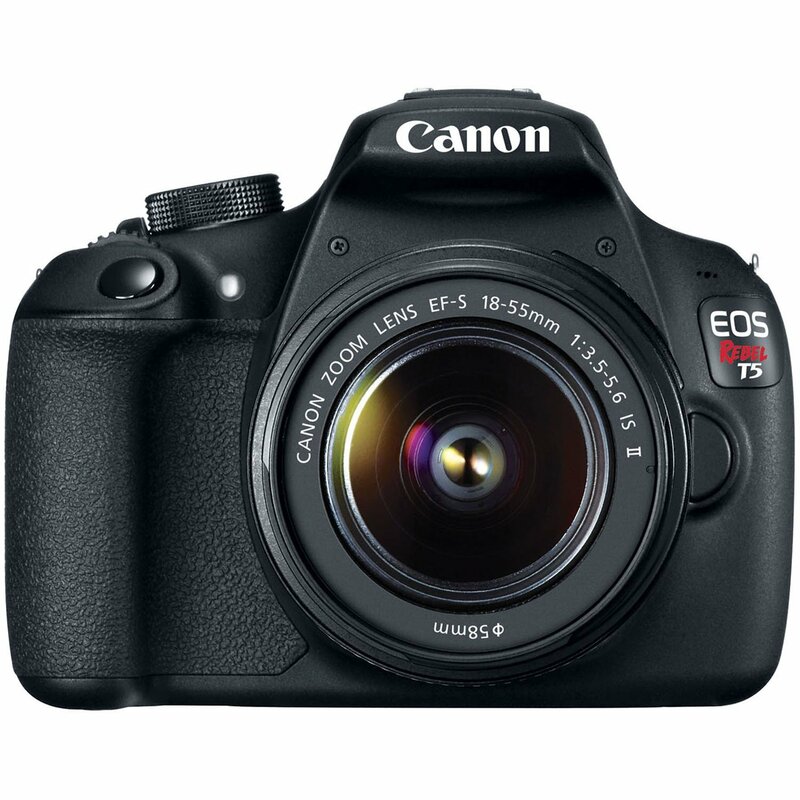 *The EOS Rebel SL1 features an 18MP APS-C-sized CMOS sensor and DIGIC 5 image processor to produce high-resolution still imagery and full HD 1080p recording up to 30 fps. The processor also affords a wealth of performance and speed-related assets, including 4 fps continuous shooting and a sensitivity range of ISO 100-12800, which is further expandable to ISO 25600. 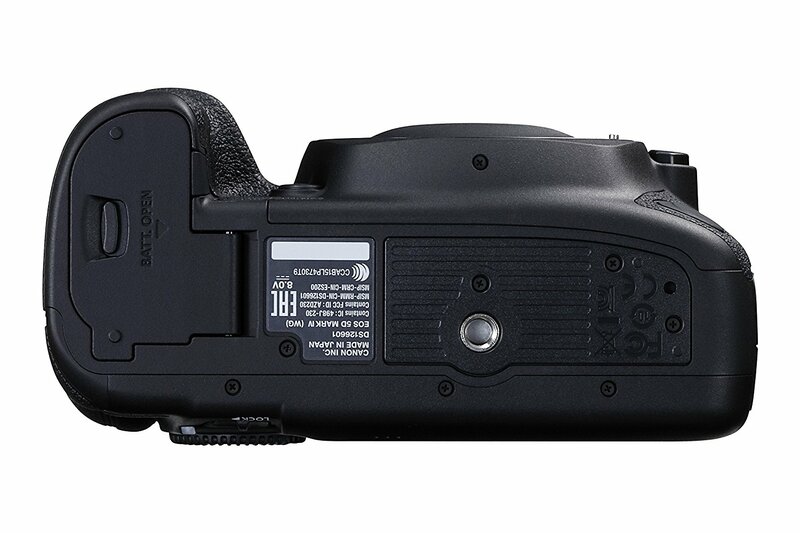 A 9-point AF system, which includes a high-precision center cross-type point, ensures fast and accurate focusing or, when working in live view, Hybrid CMOS AF II combines both phase- and contrast-detection focusing methods to assist in continuous focusing and subject tracking. 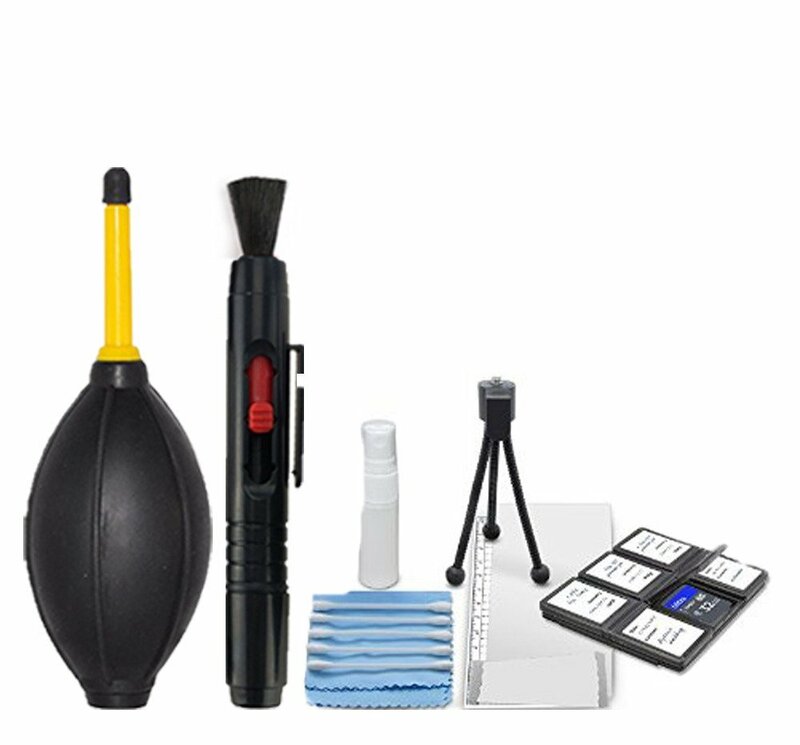 *One of the SL1’s most notable features is its highly compact size and lightweight, measuring just 4.6″ wide and weighing only 14.4 oz with battery and memory card installed. Incorporated within the small body, however, is a large 3.0″ 1.04m-dot Clear View II touchscreen LCD monitor, which enables an intuitive touch-based means for focus and exposure control as well as playback and menu navigation. 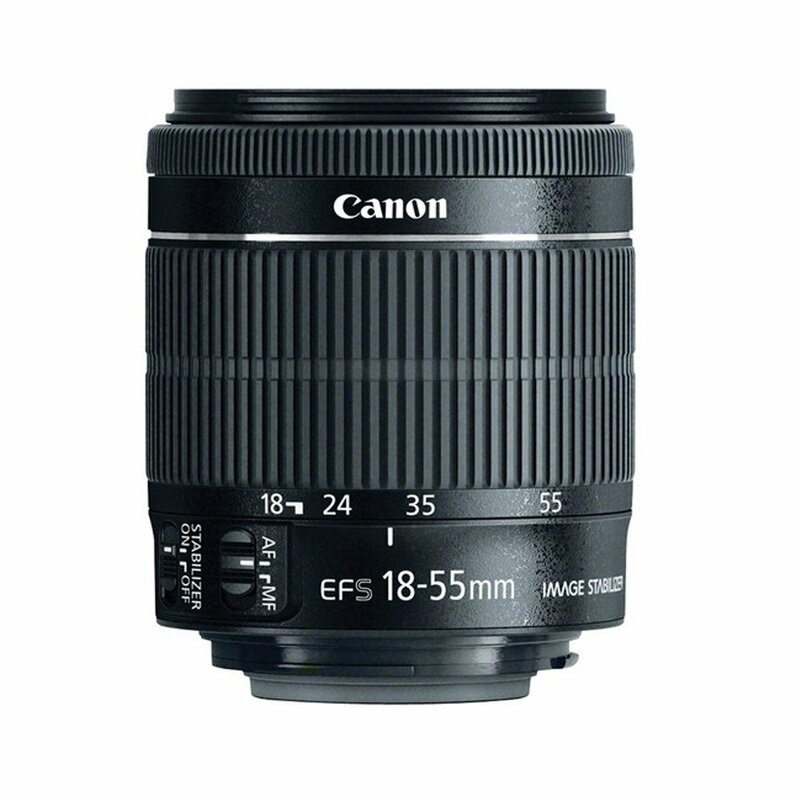 *Included with the body is the EF-S 18-55mm f/3.5-5.6 IS STM lens, which provides a 35mm-equivalent focal length range of 28.8-88mm, covering wide-angle to portrait-length perspectives. An Optical Image Stabilizer system helps to minimize the appearance of camera shake by up to four shutter speed steps and the STM stepping AF motor delivers smooth and near-silent focusing performance. One aspherical element is integrated into the optical design to minimize chromatic aberrations and optimized lens coatings help to reduce lens flare and ghosting while maintaining high image contrast and color neutrality. 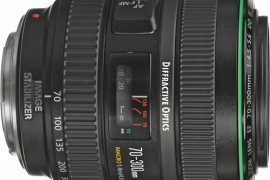 Extending the combined zoom range even further, the EF 75-300 f/4-5.6 III lens is also included, which offers an equivalent focal length range of 120-480mm. Well-suited to use with distant subjects, this lens utilizes a DC autofocus motor to acquire precise focus while the telephoto perspective is especially useful for visually compressing the space between subjects and producing a shallow depth of field. Slightly awkward to hold with a vertical grip the EOS 1D X makes it worth the awkwardness with a great exposure system and superb noise control. It’s a bit heavy which comes down to the preference for the user but overall delivers quality. 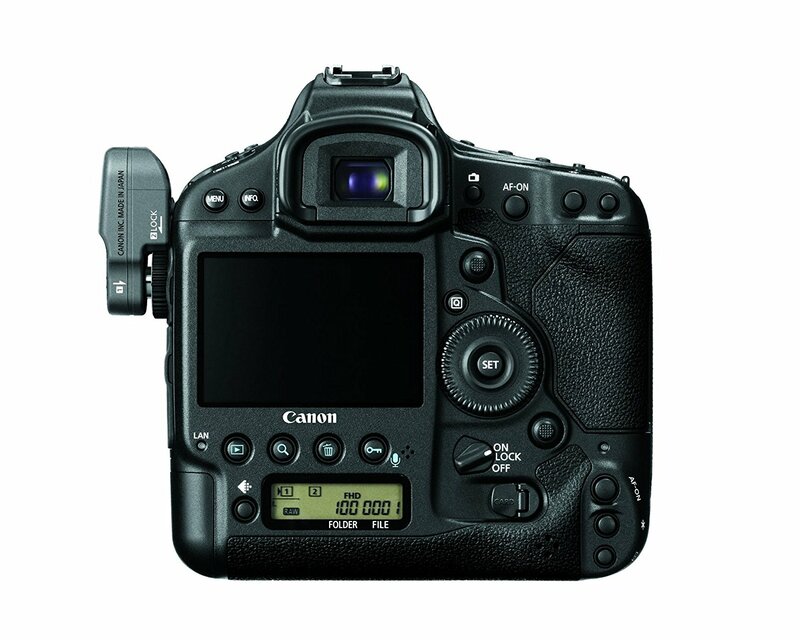 Canon here opted for a sensor with a low pixel count compared to Canon’s other options for DSLR cameras. This is still a little pricey, but it isn’t intended for photographers new to the game. It also hosts a max shooting rate of 12 frames per second which is among the highest frames per second on the list. EOS 1D X Mark ii at the glance. 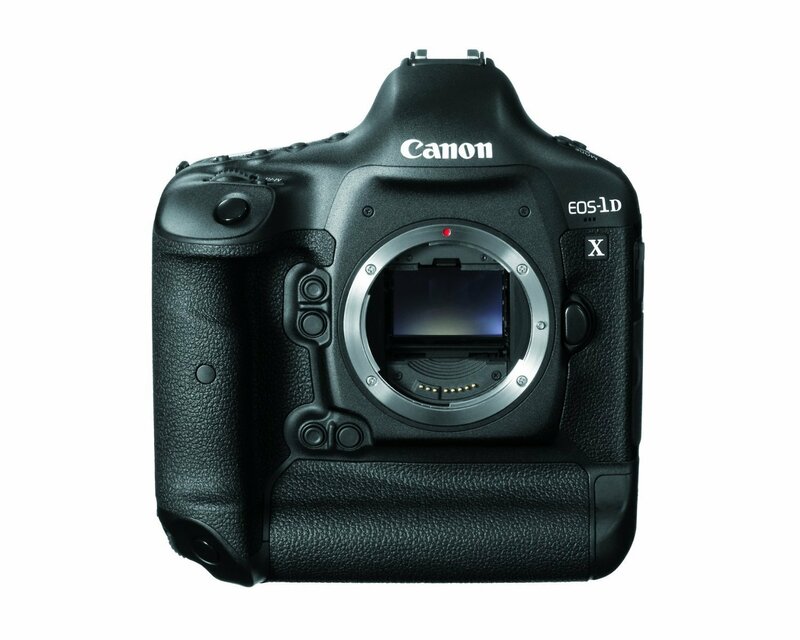 *Bringing the shooting speed and video capabilities required by professional multimedia image-makers, the EOS-1D X Mark II is the flagship model within Canon’s DSLR lineup, and is characterized by its robust processing capabilities and ability to enable a high-end multi media workflow. 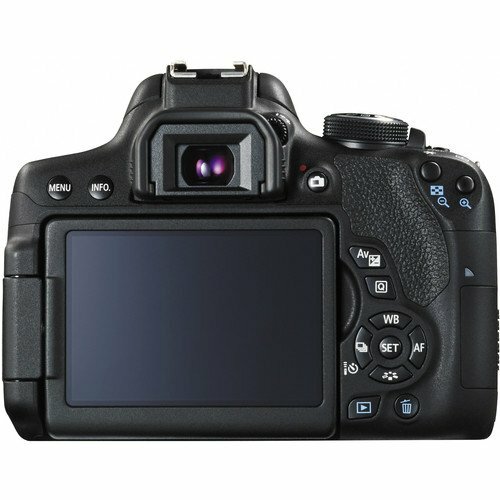 *At the heart of the imaging system is a full-frame 20.2MP CMOS sensor and dual DIGIC 6+ image processors, which contribute to fast continuous shooting rates up to 16 fps in live view, 14 fps with full-time AF and AE, and an expanded sensitivity range from ISO 50-409600. 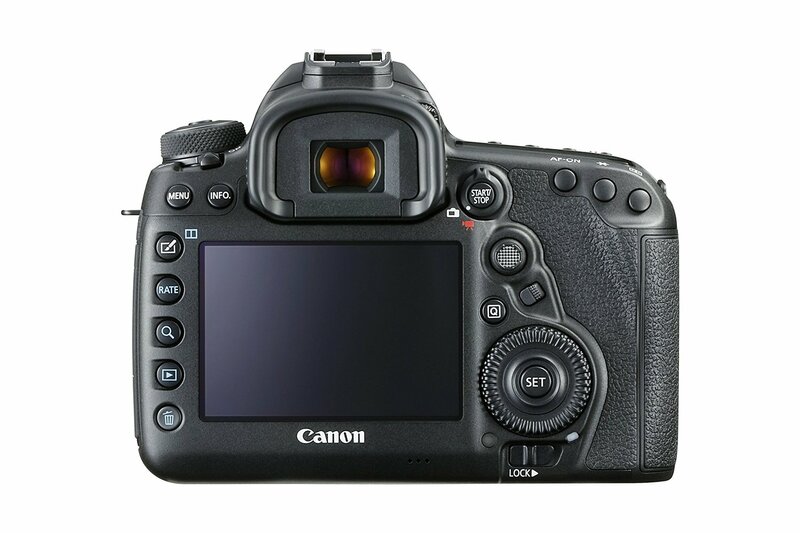 *At the heart of the imaging system is a full-frame 20.2MP CMOS sensor and dual DIGIC 6+ image processors, which contribute to fast continuous shooting rates up to 16 fps in live view, 14 fps with full-time AF and AE, and an expanded sensitivity range from ISO 50-409600. *The sensor and processor combination also avails DCI 4K video recording at 60 fps and Full HD 1080p recording at 120 fps, along with the ability to record on-board to a CFast 2.0 memory card or via HDMI to an optional external recorder. *Benefitting stills shooting is an apt 61-point High Density Reticular AF II system, which includes 41 cross-type points for a high degree of precision in varying light conditions, and video shooting is enhanced by Dual Pixel CMOS AF, which makes its first appearance in a full-frame sensor for smooth, quick, and controllable AF in live view. 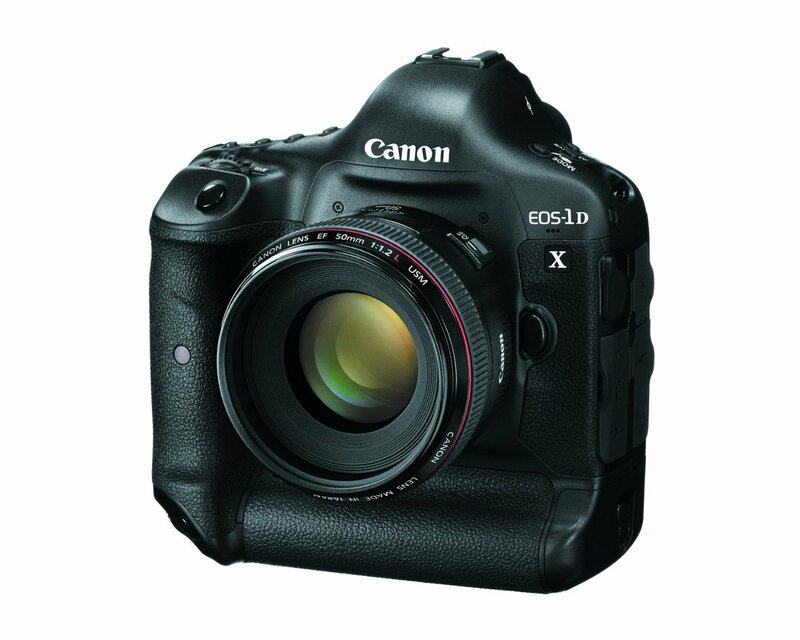 With a versatile set of imaging traits, the Canon EOS-1D X Mark II takes its place as a high-performance tool for professional photographers and videographers alike. 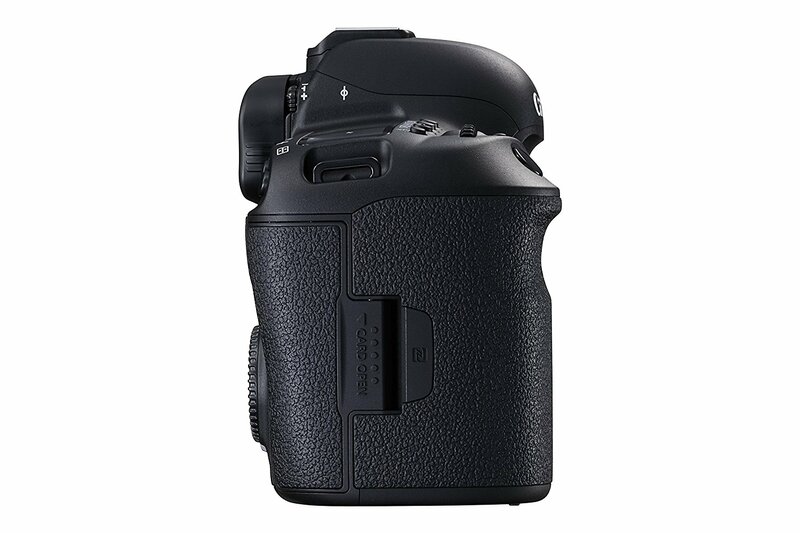 On the contrast of the Rebel SL1, this is loaded with features. It is a medium step between expert and slightly knowledgeable on camera uses. There should also be an expected learning period as its AG system is complicated and some features are not placed intuitively. However, it makes up with high quality and very detailed raw files. 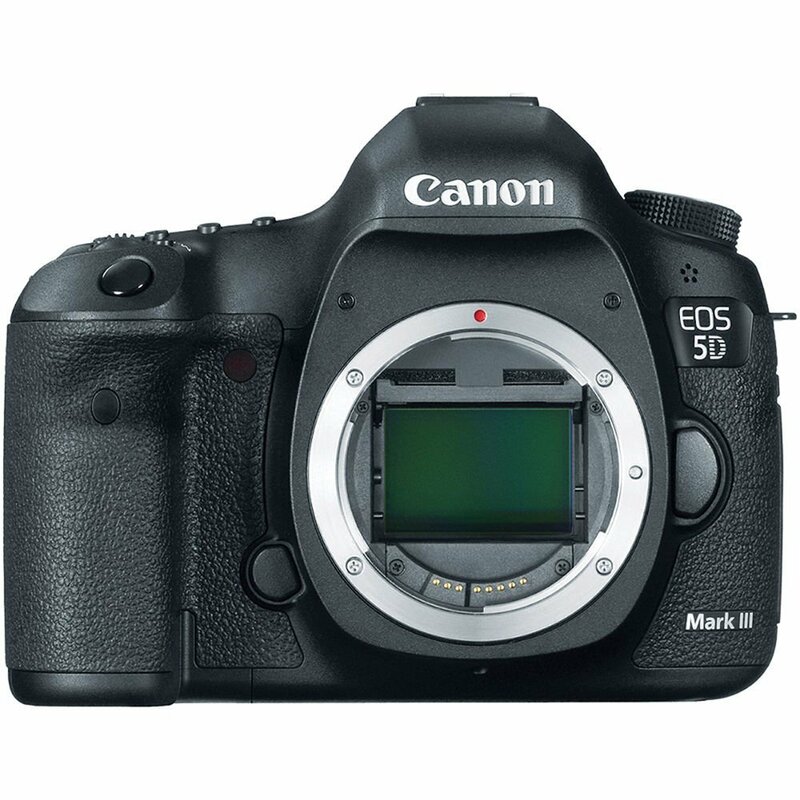 There is also a significant price gap between the Mark III and the Mark IV. All of the full frame benefits and 1080 p video quality and hundreds of dollars less. 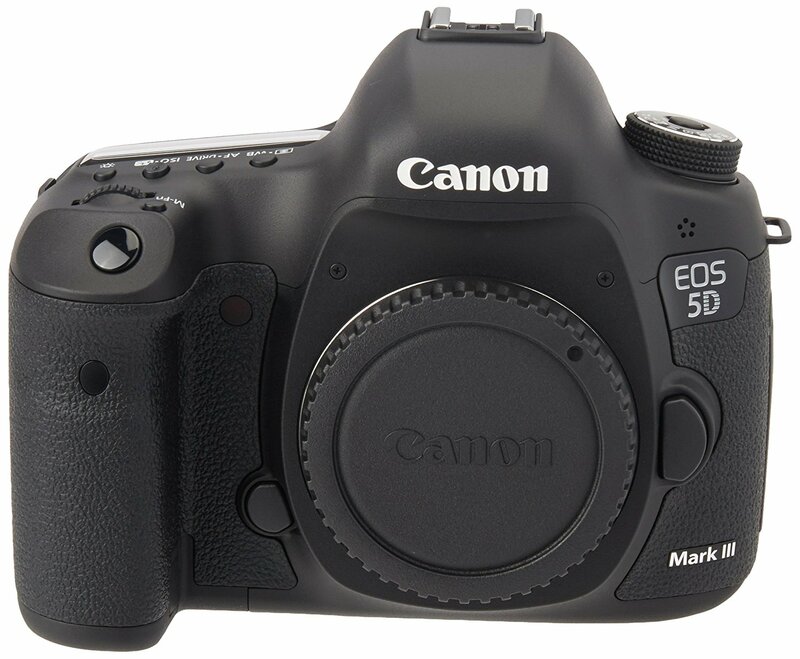 Canon EOS 5D Mark III at the glance. *With supercharged EOS performance and stunning full frame, high-resolution image capture, the EOS 5D Mark III is designed to perform. 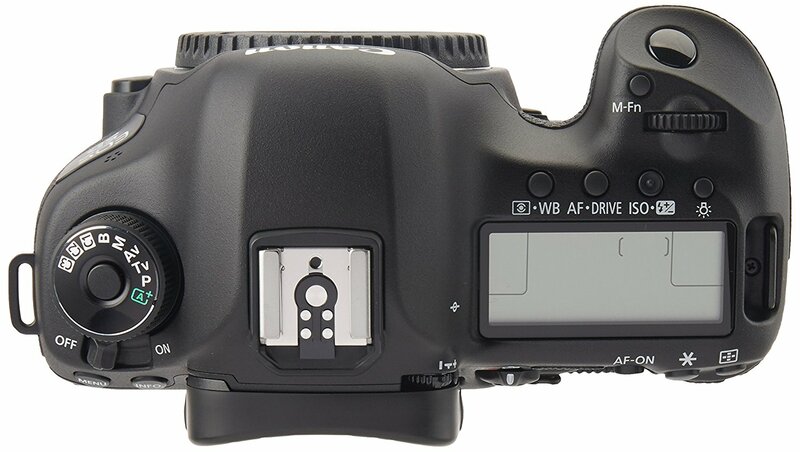 Special optical technologies like the 61-Point High-Density Reticular AF and an extended ISO range of 100-25600 (expandable to 50 (L), 51200 (H1) and 102400 (H2) make the EOS 5D Mark III ideal for shooting weddings in the studio or out in the field, and great for still photography. *Advanced professional-level high definition video capabilities (that includes a host of industry-standard recording protocols and enhanced performance) make it possible to capture beautiful cinematic movies in EOS HD quality. 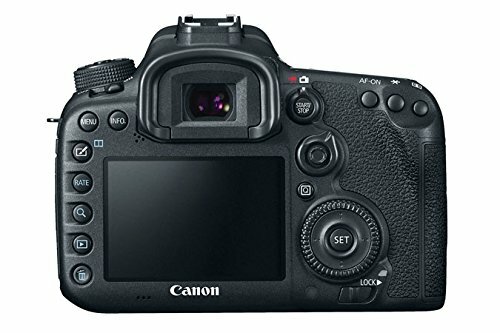 *A newly designed 22.3 Megapixel full-frame Canon CMOS sensor, Canon DIGIC 5+ Image Processor, and shooting performance up to 6.0 fps provide exceptional clarity and sharpness, even when capturing rapidly-unfolding scenes. 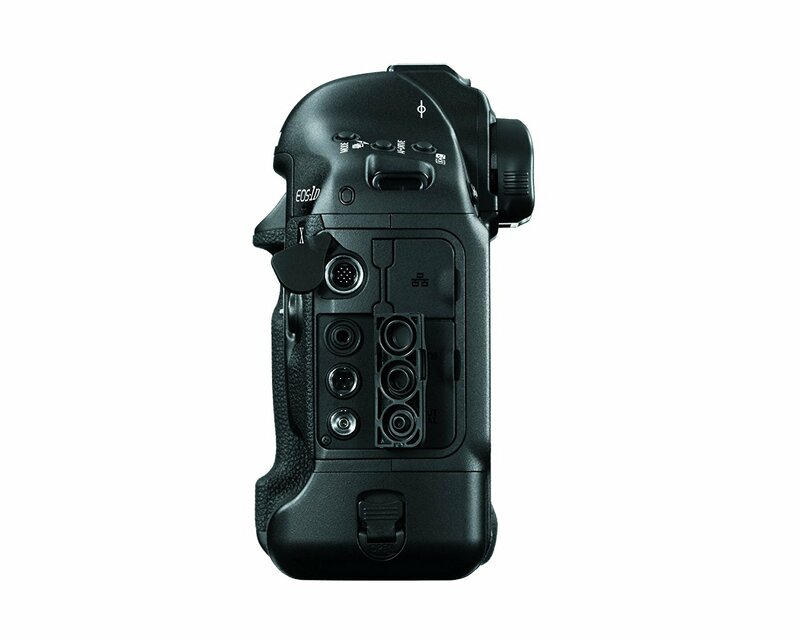 Additional technological advancements include an Intelligent Viewfinder, Canon’s advanced iFCL metering system, High Dynamic Range (HDR), and Multiple Exposure modes – all of which that help make the EOS 5D Mark III the perfect multimedia tool. This is the baseline of a DSLR. Not overrun with complicated features and in a price range that beginners can afford. It hosts a three-inch screen, 18-megapixel sensor and records in 1080p for video. It is a boost from the other introductory cameras in terms of quality. Its design is also easy to hold but isn’t meant for the long haul in terms of durability. The Rebel T5 1200D will definitely get the job done and is easy to learn on. I strongly recommend this lens for amateur photographers who are willing to explore photography techniques & learn on an easy DSLR camera like the T5, you should know too that this lens is the best seller lens on Amazon. 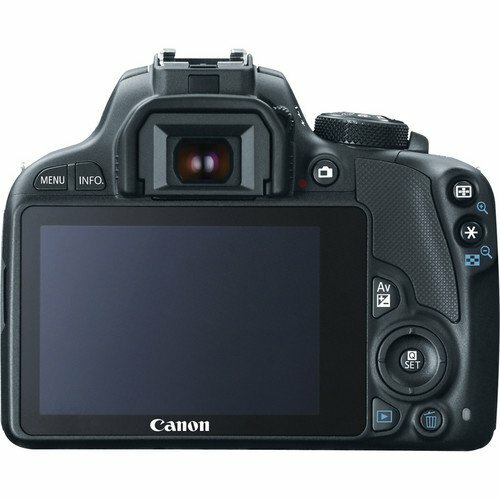 Canon T5/1200D at the glance. 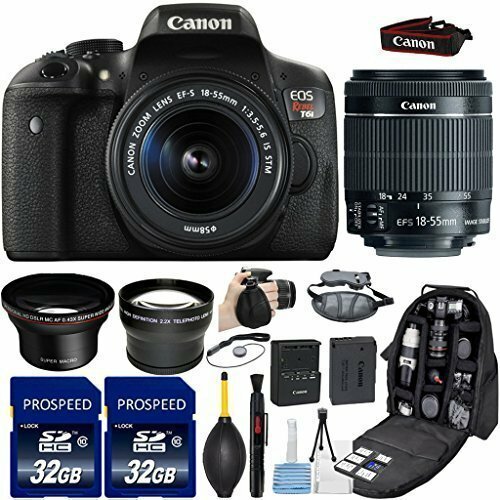 *Combining a pair of zooms with a versatile DSLR, the EOS Rebel T5 DSLR Camera with 18-55mm and 75-300mm Lenses Bundle from Canon includes the sleek camera, two lenses covering wide-angle to telephoto perspectives, and a padded gadget bag for holding all of the kit components. *The Rebel T5 features an 18 megapixel APS-C-sized CMOS sensor and DIGIC 4 image processor to produce high resolution still imagery and full HD video recording with notable low-light sensitivity to an expandable ISO 12800. In addition to the bright pentamirror optical viewfinder, a 3.0″ 460k-dot LCD monitor is also available for image monitoring and review as well as menu navigation. 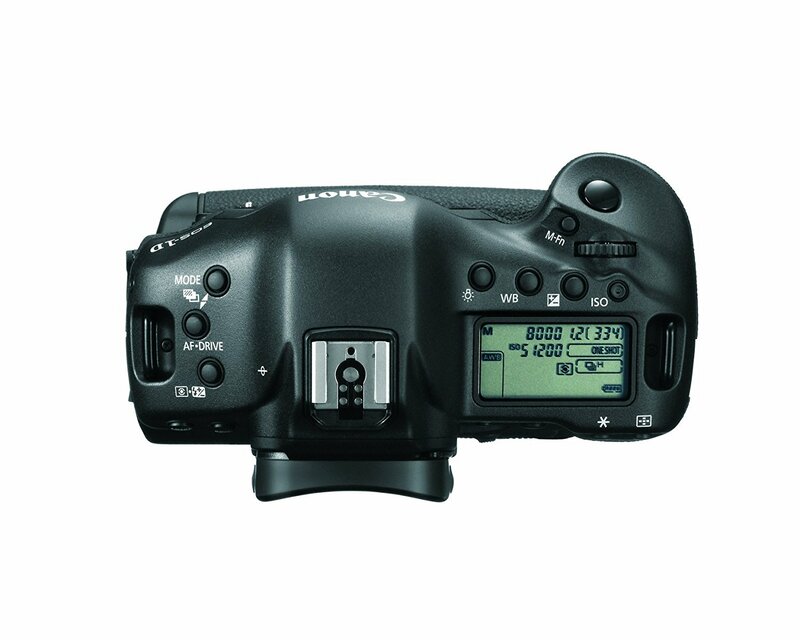 Scene Intelligent Auto mode can be employed for optimizing camera settings to best-render the scene at hand and a helpful Feature Guide can also be employed to display a simple description of each camera mode and function to aid in learning the intricacies of the T5. 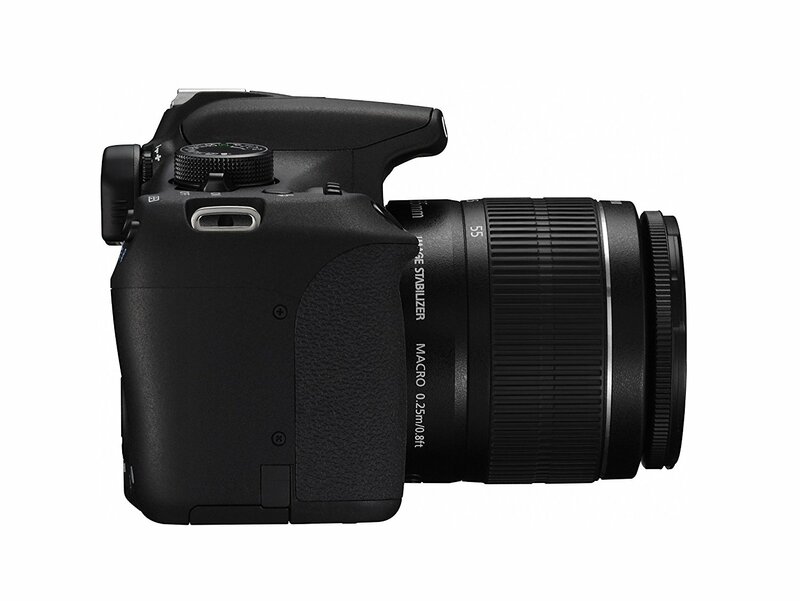 *Included with the camera body is the standard zoom EF-S 18-55mm f/3.5-5.6 IS II lens, which provides a 35mm-equivalent focal length range of 28.8-88mm. One aspherical element is incorporated within the optical design to help minimize chromatic aberrations and an Optical Image Stabilizer system has also been integrated to reduce the appearance of camera shake. Extending the combined zoom range even further, the EF 75-300 f/4-5.6 III lens is also included, which offers an equivalent focal length range of 120-480mm. Well-suited to use with distant subjects, this lens utilizes a DC autofocus motor to acquire precise focus while the telephoto perspective is especially useful for visually compressing the space between subjects and producing a shallow depth of field. The design is streamlined, easy to handle and very functional. 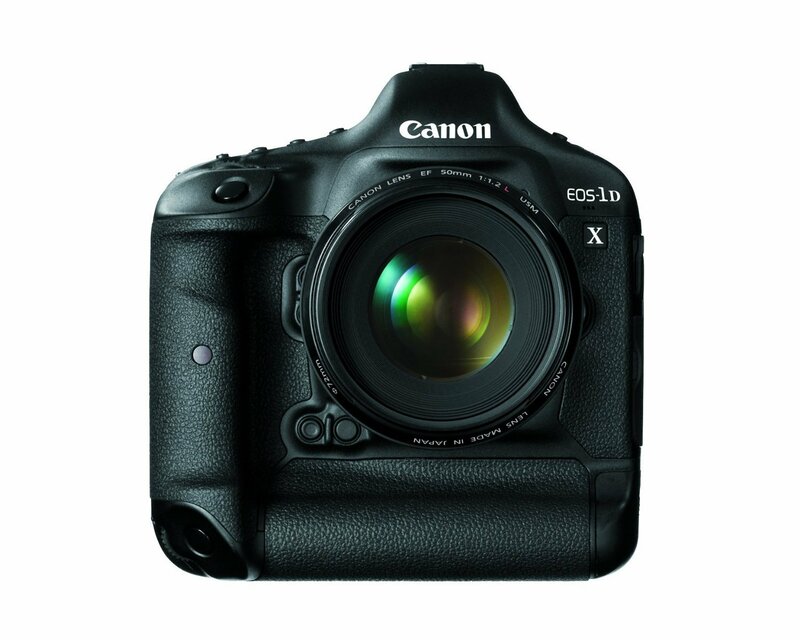 It is a close rival to the higher priced cameras at a much lower price tag. This is best for the photographer in the family who thrives on pursuing their passion without doing it as a day job. It has a barrage of features and they aren’t difficult to learn. The only drop in the image quality for the price is slightly lower than you would expect. This is particularly seen in dark or dim lighting. 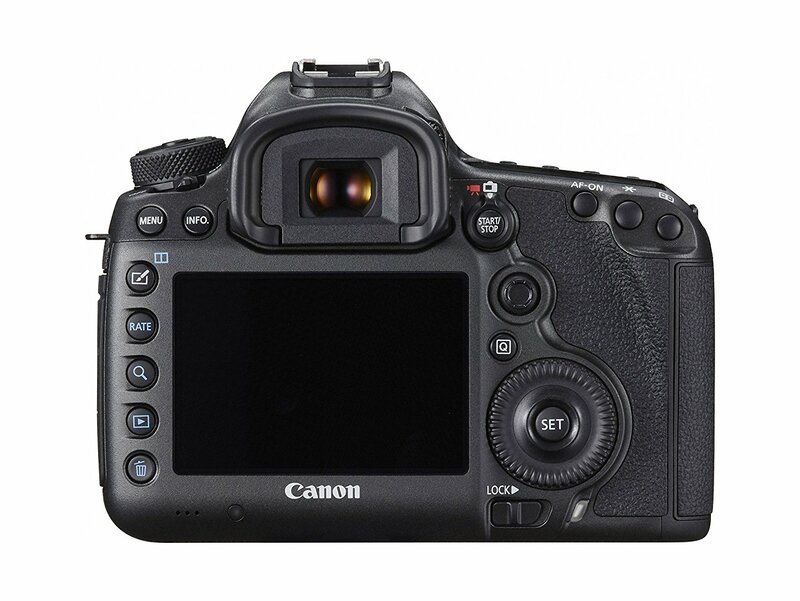 EOS Rebel T6i/750D at the glance. *High speed continuous shooting at up to 5 fps ensures you will not miss a shot during fast action and this is benefited by the use of a 19-point all cross-type autofocus system. Creative filters are also available for preset looks for your photos and videos. 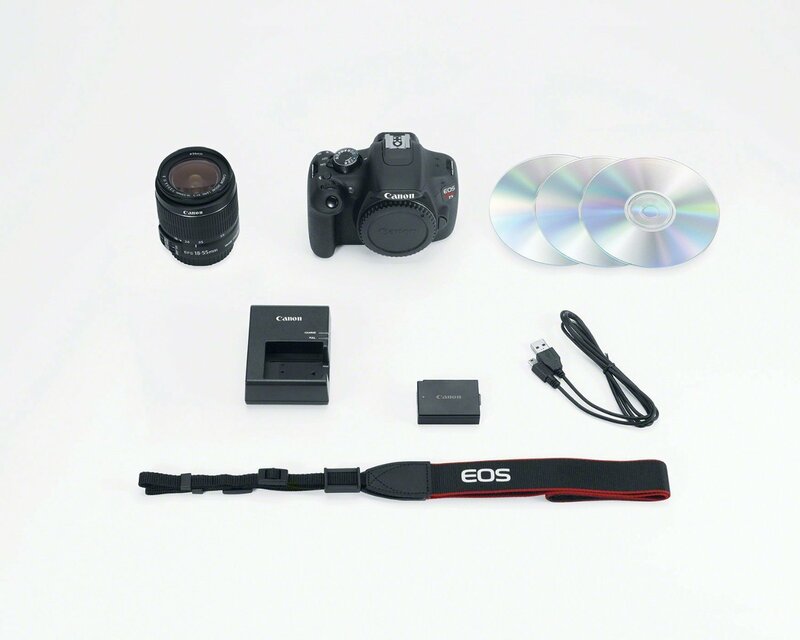 *The EOS Rebel T6i is compatible with the full line of Canon EF and EF-S lenses. It is paired here with the EF-S 18-55mm f/3.5-5.6 IS STM lens, which offers wide-angle to standard focal length shooting specifically designed for APS-C cameras. It is equivalent to a 28.8-88mm focal length in the 35mm format, and its minimum focus distance is 9.8″. This lens features Canon’s Optical Image Stabilization system, providing 4 stops of compensation for blur caused by slow shutter speeds when shooting hand-held in low light or at longer focal lengths. 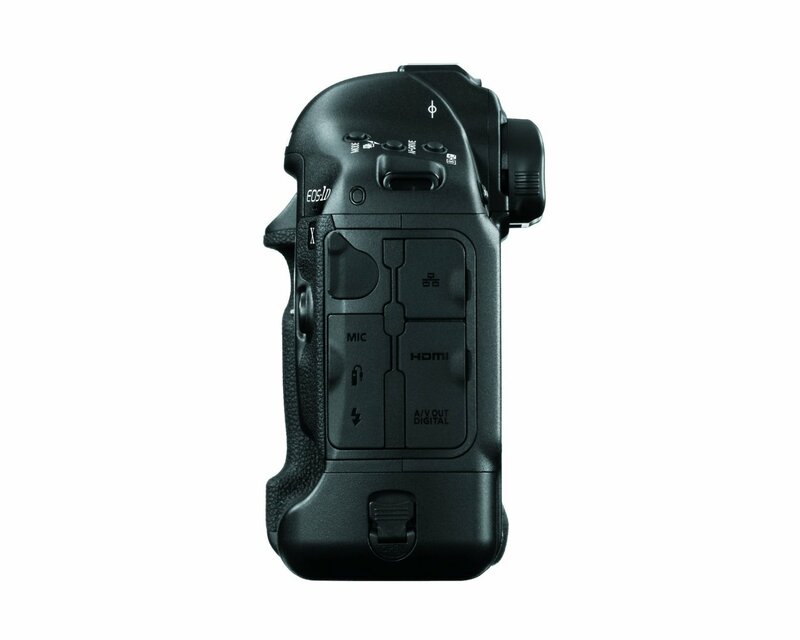 An internal focusing system provides fast autofocus, and with a Stepping Motor (STM) and six-group zoom system, it supports the Rebel T6i’s Movie Servo AF feature for smooth and quiet continuous autofocus during video recording. Manual focus override is possible. A high precision aspherical element reduces chromatic aberration throughout the zoom range for sharp imaging, and Canon lens coatings provide accurate color balance and minimal ghosting and flare. 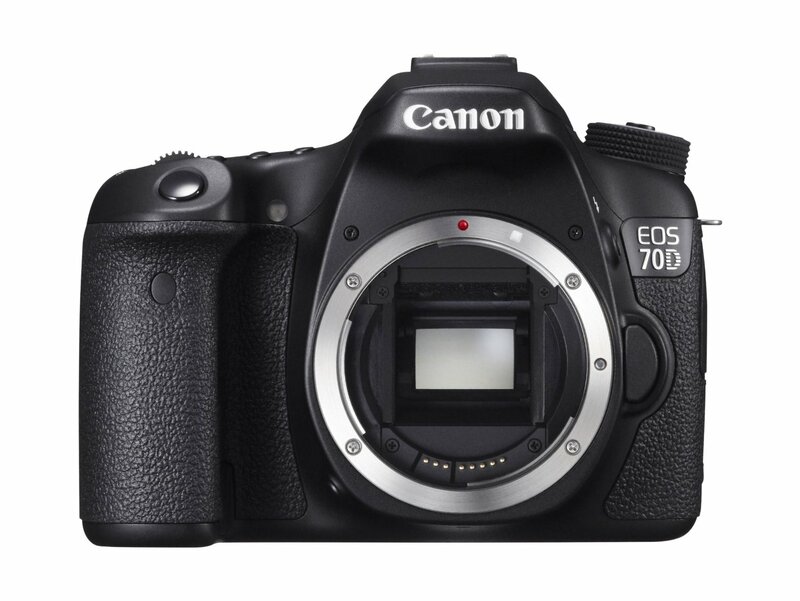 Last, but certainly not least, is the EOS 70D. Overall, one of the best bangs for your budgeted buck. 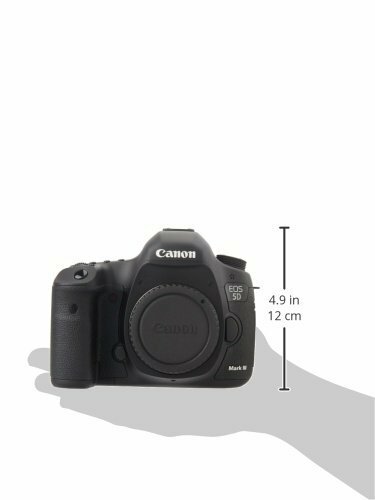 It’s much lower in price than the expert level DSLRs. Without the severe drop in quality of features. Video records well and is easy to manage. It hosts a lot of single-function buttons. So no fiddling around to find what feature you are looking for. 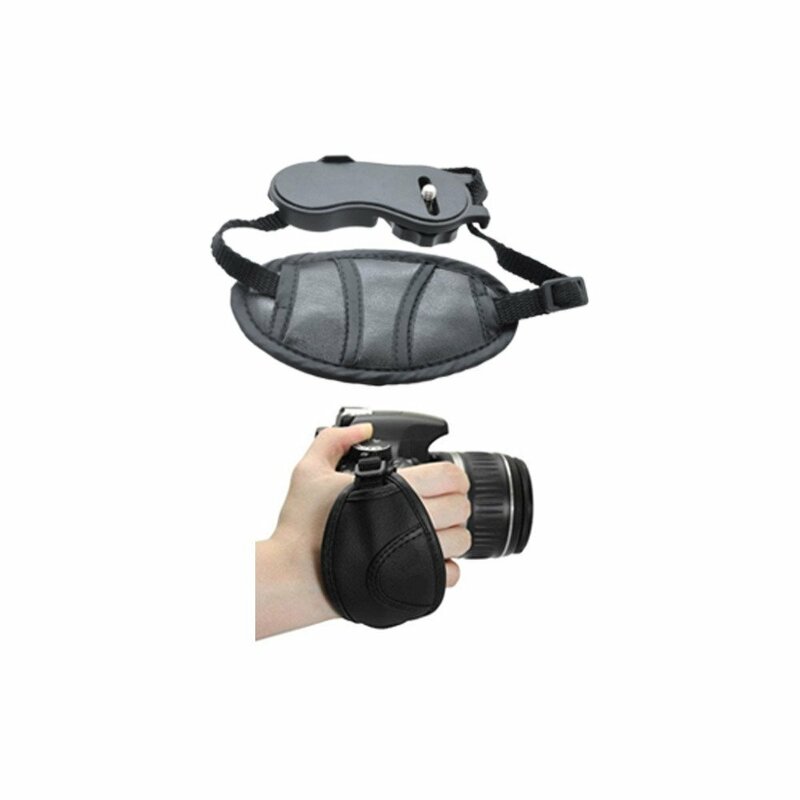 It fits nicely in the hand and feels comfortable shooting horizontal or vertical. 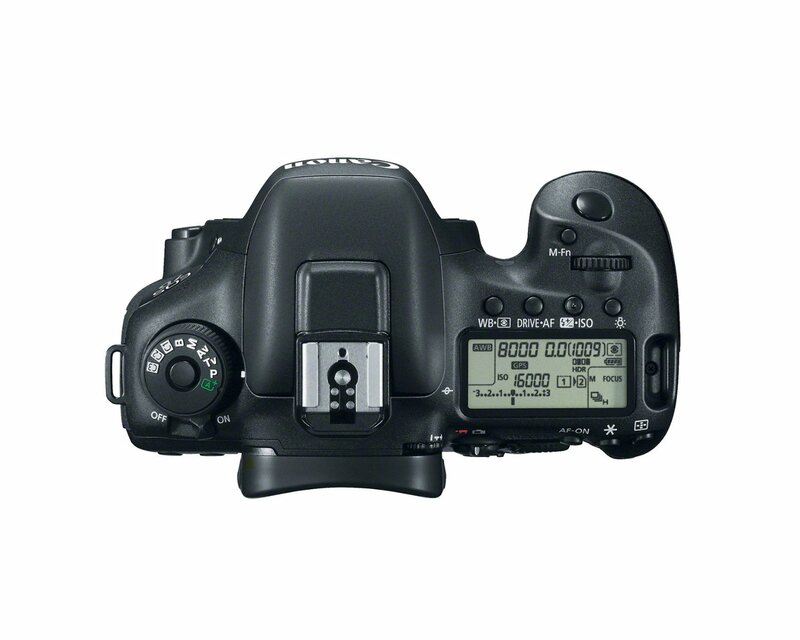 EOS 70D at the glance. 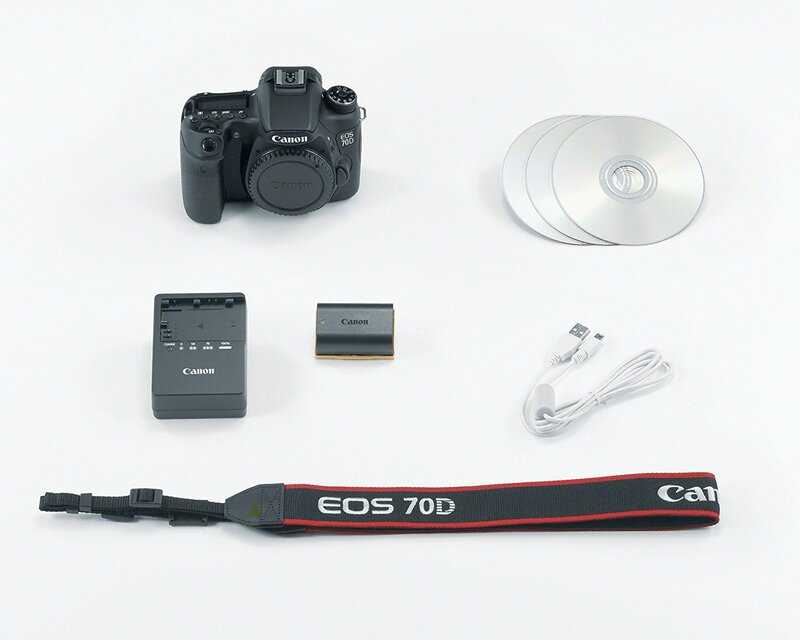 *Pairing a versatile set of lenses with an equally versatile camera body, the Canon EOS 70D DSLR Camera with 18-55mm and 55-250mm Lenses Kit from B&H bundles the 70D DSLR with wide-to-short telephoto and telephoto zoom lenses. 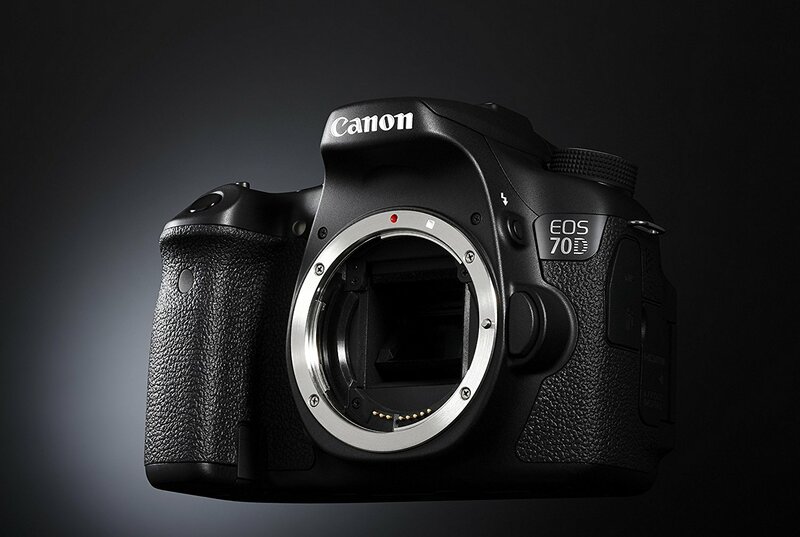 *The EOS 70D features a 20.2MP APS-C CMOS sensor and DIGIC 5+ image processor to ensure high-resolution images and excellent low-light sensitivity. The processor also provides notable speed throughout the camera system, including the ability to record up to 7 fps in full-resolution, quickened AF speeds, and full HD 1080p video recording in multiple frame rates with manual exposure and audio level control. For use in live view, Dual Pixel CMOS AF has been incorporated into the 70D and serves as a fast and intelligent phase-detection focusing system that incorporates two photodiodes within each pixel to produce a quality of focusing akin to that of a camcorder. For touch control over focusing, as well as intuitive handling of camera settings and menu navigation, a 3.0″ 1.04m-dot vari-angle ClearView II touchscreen LCD is available in addition to the traditional optical pentaprism viewfinder. Wireless connectivity enables instant sharing of images from the camera and also permits remote control over the camera from linked mobile devices. 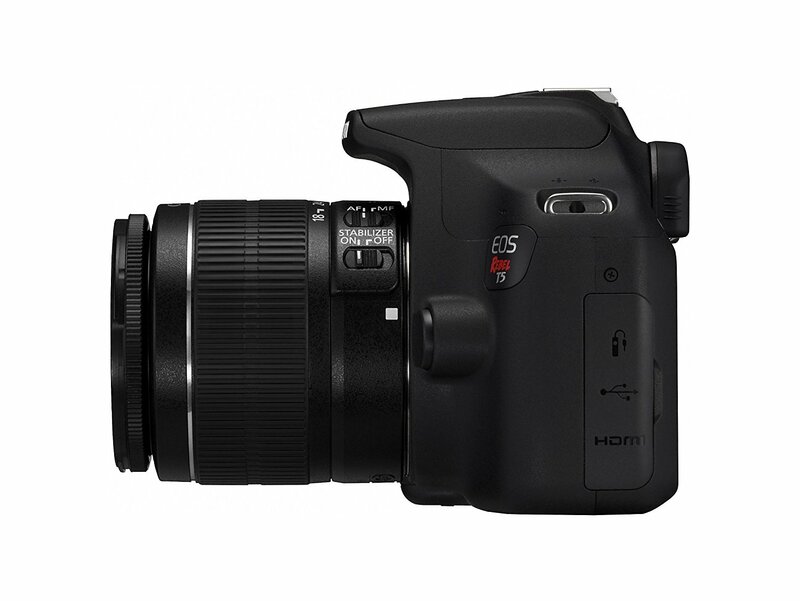 *Included with the camera body is the EF-S 18-55mm f/3.5-5.6 IS STM lens, which serves as a versatile everyday lens that encompasses a 28.8-88mm equivalent focal length range. The STM stepping motor helps to achieve near-silent focusing when used in conjunction with the Movie Servo AF mode and the optical image stabilization system helps to minimize the appearance of camera shake. 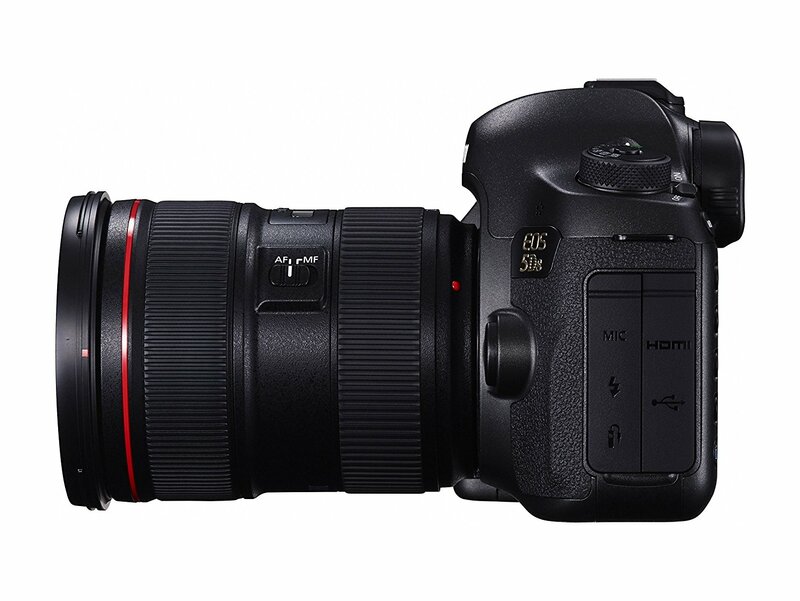 To further extend the effective zoom range, the EF-S 55-250 f/4-5.6 IS STM lens is also included, which offers an equivalent focal length range of 88-400mm. Well-suited to use with distant subjects, this lens also utilizes an STM autofocus motor, for smooth, quiet performance, as well as optical image stabilization to minimize the effects of camera shake. Hopefully, this list has helped in identifying which features you’re looking for and how you can differentiate your needs from your budget. Happy camera shopping! Next articleCrystal Ball Photography Tips – A Different Perspective! Wow! Very interesting post! I’m glad I came across this blog. This review is great for anyone looking to start in the photography world, like me. Thanks for dropping by, glad to help hope to see you again. 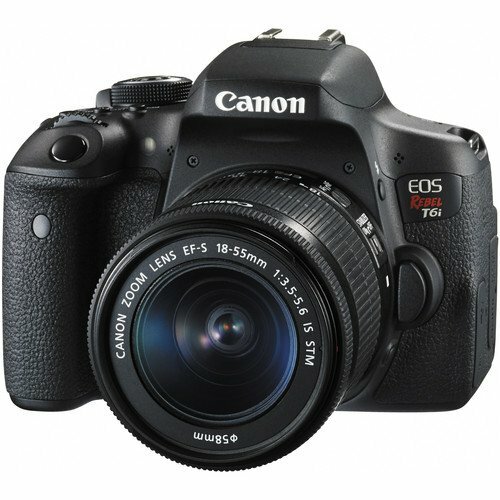 For sometime now I have wanted to purchase a DSLR camera but they aren’t cheap and I haven’t been able to save up enough money. 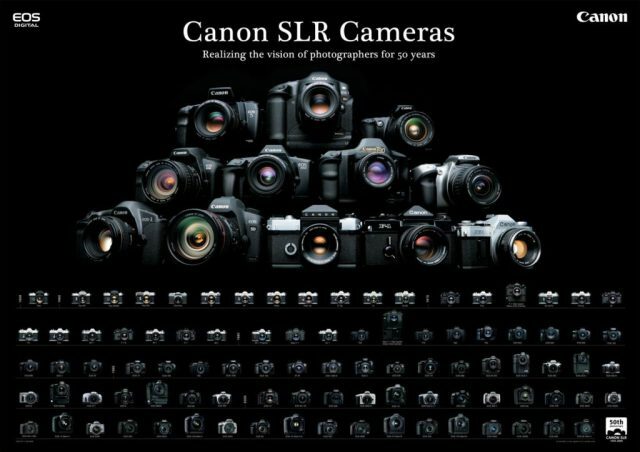 While reading this post I found it interesting that all the cameras on this list are canons, Why? 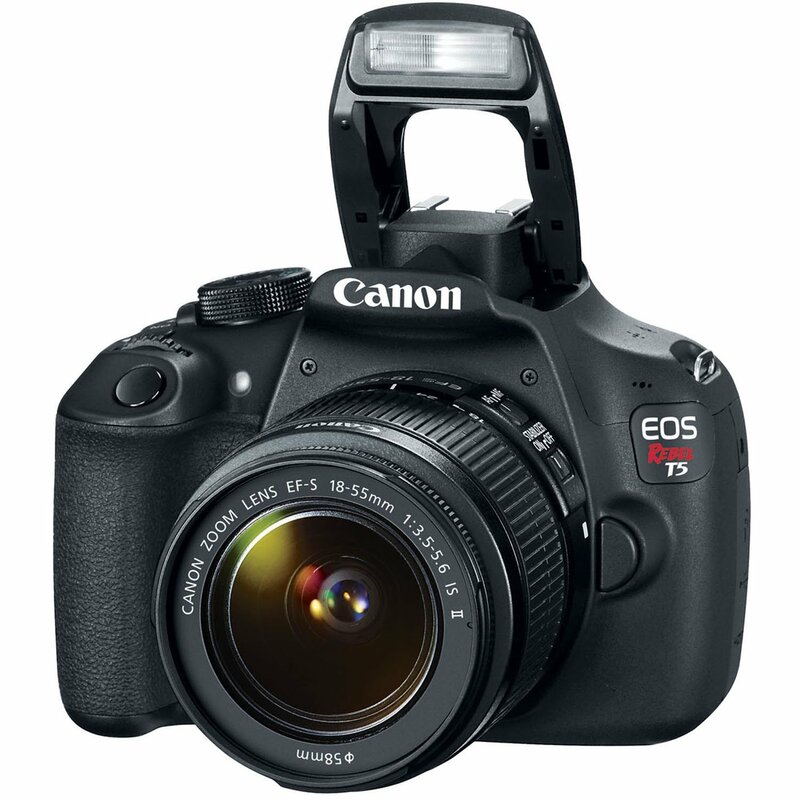 Do you feel that canon makes the best DSLRs? Why didn’t any of Nikon’s DSLRs make the list? The answer is simple I am just a Canon fan, that’s why all my reviews & articles about Canon, also I believe that there are no differences between Canon & Nikon but what you make you take a good shot is photography knowledge first then choosing the equipment comes next, thanks for your comment. EhabAmin you have certainly given me a lot to think about. First of all I think 40 years ago when I bought my last camera I paid $250 and thought I had a good deal. You show quite a bit of Cannon’s variety which tells me what kinds of things to look for in any camera I buy. Thanks for the valuable info. Thanks Harrison for your input, glad that you find the post helpful.